It is probably hard to fathom, but next week the moving van will arrive to take most of your possessions to your new home. While you are excited to move to a new place, you are also understandably a bit nervous — as are your kids. Babies and Toddlers: Make my new room the same, please! Younger kiddos who are sleeping in a crib will probably not be interested in moving into a bedroom with a snazzy new paint scheme, bedding and furniture. Babies and toddlers are creatures of habit — a two-year-old has a remarkable throwing arm when presented with a “Thomas the Tank Engine” sippy cup instead of the fave “PAW Patrol” version — so the more you can keep things the same, the better. If you can, prior to moving in, paint your tot’s bedroom the same color scheme as before. Then set up the nursery with all of the same items your baby or toddler is accustomed to, from the crib mattress they sleep on to the art hung on the wall. Of course, as Moving.com notes, if your young kids do want to help unpack, you can certainly let them — your toddler will probably notice you organizing the kitchen and home office and may insist on taking her books out of the box and putting them on her bookcase, and/or wanting to put her stuffed animals in a certain place. Elementary School-Aged Kids and Older: I want to help! 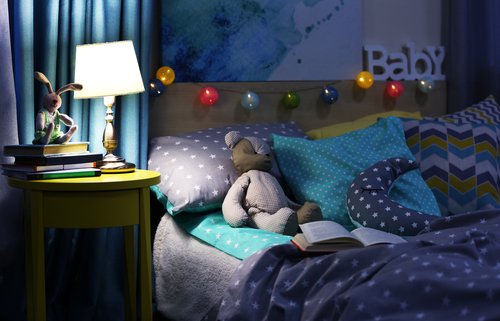 Kids who are a bit older will probably enjoy setting up their new bedrooms. In fact, if they are anxious about moving and are begging you to stay in your old home, promising them the chance to pick out their own paint colors and bedding may help make this whole moving thing seem a bit more palatable. Head to a local hardware store to pick out some paint swatches together and let your kids choose a color or two for their rooms. As Parents notes, let each kiddo pack and bring along a box of special treasures in the car, and when you arrive at your new home let them unpack these things as soon as possible; this will help those first few nights go a lot better. Be sure to point out where light switches are located and any really cool features the room might have, like a walk-in closet perfect for hide-and-seek or window seat that is a great place to read. If your kids are outgrowing their furniture, the move might be a great time to upgrade your tween from a twin-sized bed to a queen and/or update the posters from whimsical animals to Monster Trucks and Boy Bands. Moving is an adjustment for the whole family, but you can keep the stress down for you and your kids by planning ahead of time. By keeping the new nursery as similar to the prior one as possible and letting older kids make some interior decorating decisions, all of you will settle into your new place as quickly and easily as possible.